Imagine that you are reading a detective story and that you have reached the final chapter. In this scene, the detective has gathered all of the characters into the room of the mansion where the murder took place. And now the detective is going to reveal the guilty party. The mystery is about to be solved. But before he makes his announcement, he explains his logic. In writing this book, I am going to assume that most of you who are reading it already know that there is something terribly wrong with our world. You may already be aware that there is a certain group of people to blame for many of the world’s problems, a powerful criminal organization called the Illuminati. 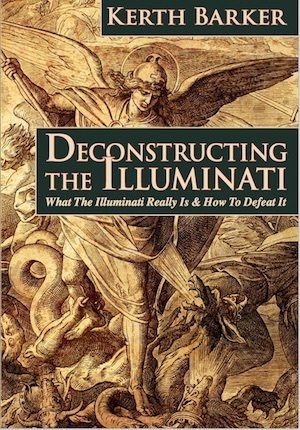 And if you wish to defeat the Illuminati, you need to know exactly what they are and exactly how they operate. Unfortunately, much of the information about the Illuminati presented through movies and on the internet is misleading. For example, in the popular novel by Dan Brown, Angels and Demons, the Illuminati is presented as if it were a secret organization, existing hundreds of years ago, whose members were intellectuals like Galileo. And according to Dan Brown, they covertly opposed the Catholic Church, that they considered to be oppressive to their goal of enlightenment through reason and science. In Dan Brown’s novel, he finally concludes the story with the revelation that the Illuminati actually ceased to exist hundreds of years ago. Dan Brown is a fiction writer, so perhaps he can be forgiven for presenting an image of the Illuminati that’s completely misleading in every respect. But in other cases the information presented through the media is intentionally misleading because the Illuminati spreads disinformation about itself. The result is that there are many different and conflicting views of the Illuminati. Various conspiracy theorists on the internet argue, sometimes bitterly, about the true nature of the Illuminati. And thereby the real Illuminati organization hides itself behind a cloud of confusion. Because of personal experiences, years of research and contact with Illuminati insiders, I believe that I am in a position to dispel this cloud of confusion and present a view of the Illuminati that is grounded in reality. In this document, I intend to deconstruct the true nature of the Illuminati for you. I don’t intend to burden you with everything I know about the Illuminati, but I will give you a useful overview of it.